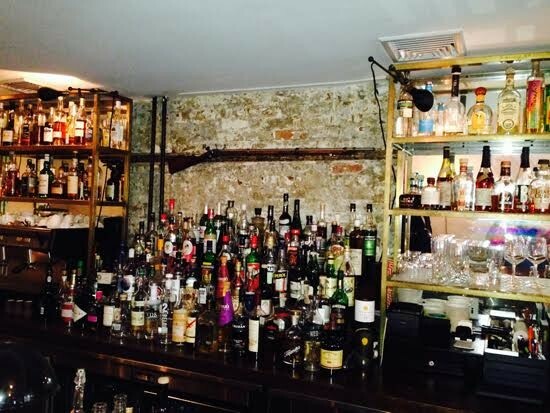 If we visit Michelin star restaurants next Archtober, we’ve got to make a deal for the meal. The meal’s the thing here. 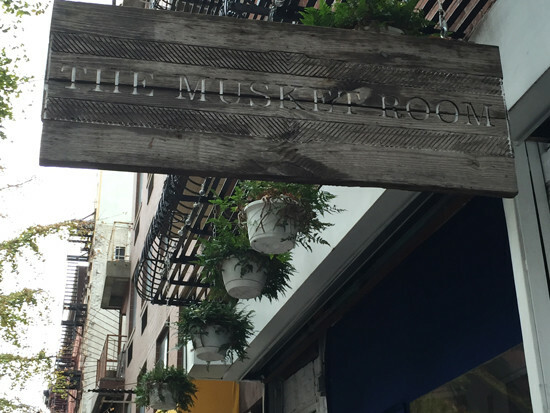 The Musket Room moved into Manhattan’s old Rialto space, a long-gone hangout for architects working in the nearby Puck Building. It’s got a gun over the bar. Larry Cohn of architect-of-record Shadow Architects, prepared the filing documents that wended their way through the post-Sandy building department. The warm woods and teal leather banquettes specified by London-based Alexander Waterworth Interiors, have replaced the bright red plastic ones that lined the brick side walls of the not-forgotten Rialto. A nice chap, Larry, took us through the restaurant, and showed us the spanking clean basement kitchen with its array of chemical lab experiments called food. 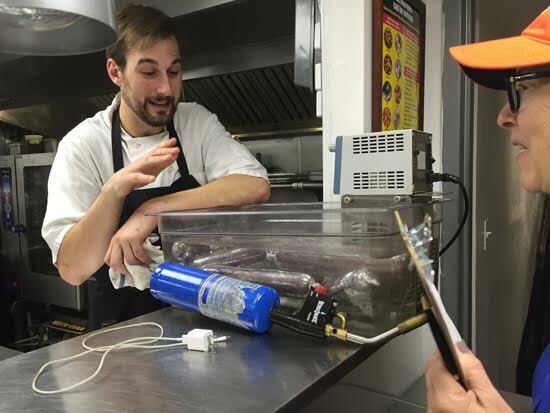 Frank Hanes, the sous chef, explained the polyethylene-encased meats that were being cooked sous-vide: venison leg fillets, a specialty of the house on the menu as “New Zealand red deer/flavors of gin,” which includes licorice and fennel – and maybe a juniper berry or two. You can tell I’m not a foodie. 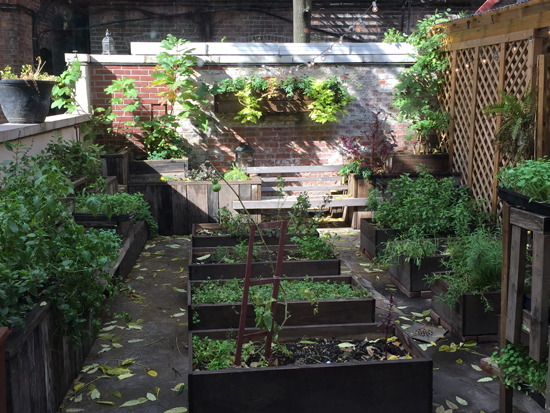 It was nice to see nasturtiums growing in the raised beds in the back that serve as an herb garden for the chef, New Zealander Mack Lambert, who conjures a nasturtium vinaigrette that might appear somewhere in the early courses of our future meal. We could top it off with Pig’s blood/berries/rhubarb/herbs for dessert.